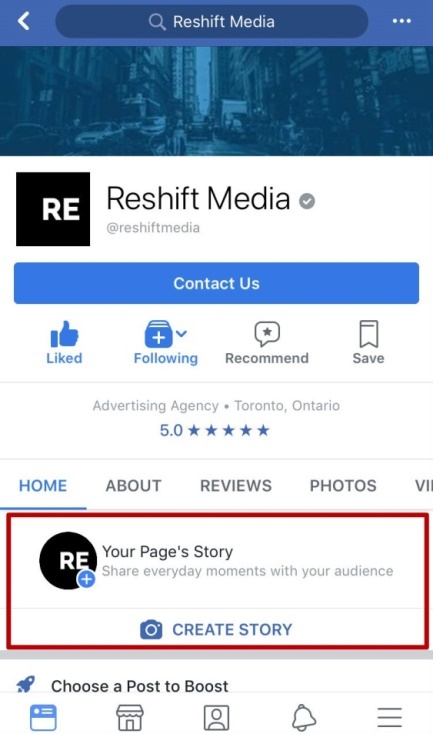 Facebook recently rolled out Stories to business pages, which provides another opportunity to showcase your brand and increase your Facebook engagement. 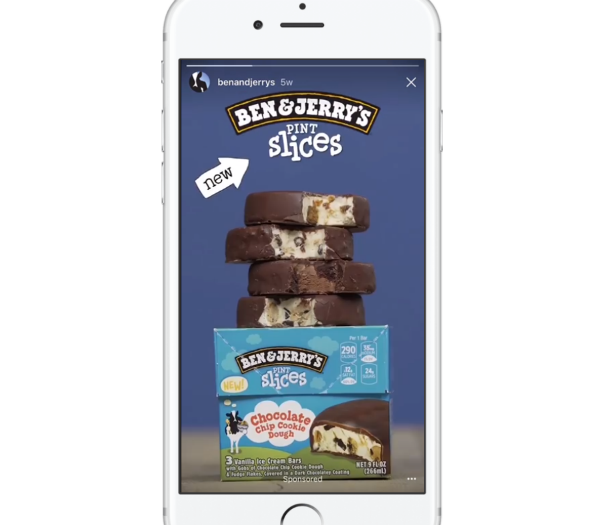 While many brands are using disappearing Instagram and Snapchat stories to reach their audience, Facebook Stories has previously been limited to personal profiles, with very little uptick in usage. Facebook’s latest algorithm change prioritizes local news, as well as interactions between friends and family, making it even harder for posts from business pages to been seen without spending money to boost them. It’s now more important than ever to look at alternative ways to interact with your audience. 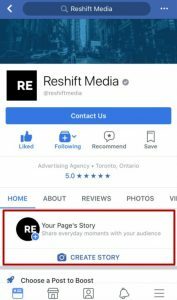 Facebook Stories may help business pages gain some visibility, especially with so few people using them at this stage. If you have a business profile on Instagram, you can also push your Instagram Stories to Facebook Stories. 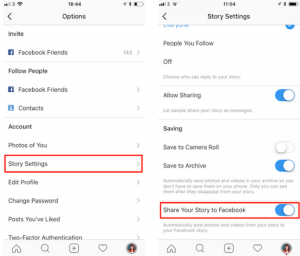 Access your settings in the Instagram app, select ‘Story Settings’ and turn on ‘Share Your Story to Facebook.’ With this method, all of your Story analytics will be combined and viewable on Instagram. • Do you want to share behind-the-scenes photos showing your audience what goes on in your business? Stories can be a great way to deliver tips and short how-to tutorials. Come up with an overall theme/idea and include a combination of video and images to keep the Story visually appealing. The audience will be more interested in your post if the content is exclusive, entertaining or informative. Determine your objective behind each post. Are you trying to get brand awareness? 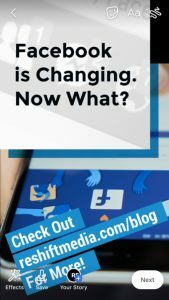 Drive people back to your website? Get newsletter signups? To gain engagement in your post, ask questions and use hashtags. Be direct and avoid asking yes/no questions. You want people to comment and discuss. Keep your posts relevant to your business and audience. The focal point of your posts should always relate to your company’s culture, products/services, or business objectives. Can it be done on a computer, rather than with a cell phone? The story option dosn’t appear on my business profile. Do you have any tips to how I can solve this? Hi Lianne, I see the option on my business page on my android phone, but not on my laptop. Where is it on the computer please? hi can you tell me why it doenst allow you to see which person “viewed” your story it only shows an eye in the corner? The story option dosn’t appear on my business page. Do you have any tips to how I can solve this? Download the Facebook Pages Manager app and you should be able to see the Story option through that. I just downloaded the FB Pages Manager app and it’s still not showing up. The story option is not on my business page app. for a real loan.. for I got my loan from them after reading about their loan offers on TV and my debts are fully settled now. Need to let everyone out there that need financial assistance know that i finally meet with an legit online lender which i contacted for a loan and receive the loan from her in the next 48 hours without any delay or changers involved , If you are interested in any loan to pay off your bill and solve other problem kindly contact (christywalton355@gmail.com) he is really a legit lender i swore to God just give her a try and see what happen next i never believe this , So happy now just got my new home and living well with my family . 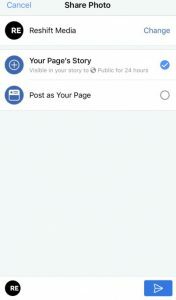 Hi, i tried to find the Story option on mobile, for business profile fb but it doesn’t show me the option? Please help? I have the same problem as another commenter. 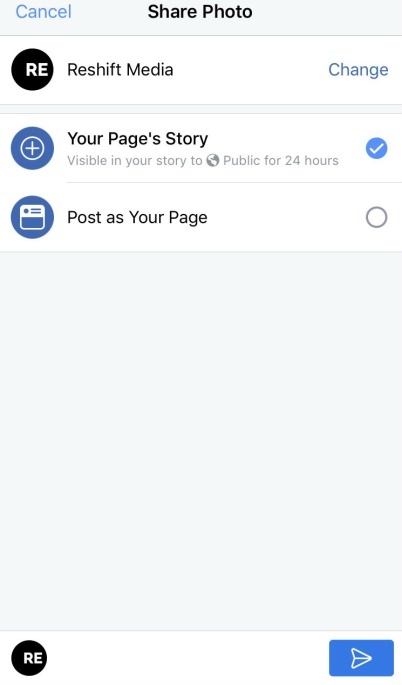 The “your pages story” option is not showing on my business page through the facebook app or pages manager. Same with mine, driving me crazy looking around to find it! I wonder if they haven’t rolled out stories to all pages yet? If it’s not on your page yet, try downloading Facebook’s Page Manager app. While viewing your FB biz page on your phone, at the top there are two ways of viewing the page- A) Activity B)Insights. If you view it on the insights option and scroll to the bottom under “reccomended actions” that is where I found it. The icon doesn’t look exactly like it is pictured in this article. Elizabeth, Could you describe in a bit more detail where you are seeing the choices “1) Activity B)Insights”? I don’t see them on my phone. When I click the Insights tab from my computer, I get several choices along the left column, one of which is stories, but clicking there only brings me to an page for story “insights” of which there are none…given that I can’t seem to find a way to post any. It almost sounds as though there isn’t much consistency in what people are seeing on their various business FB pages. Is that possible? Confused…. I had a really hard time finding this too! You just click on your profile picture…the “+” symbol and a box pops up for you to add to your story! Yeah, I’m not seeing it even on the Facebook’s Page Manager app.